It’s official. I am head over heels, truly, madly, deeply in love…….. with a square box. No, not the TV. No, not a box of Guylian truffles. Those are soooo pre-2014, dear reader. 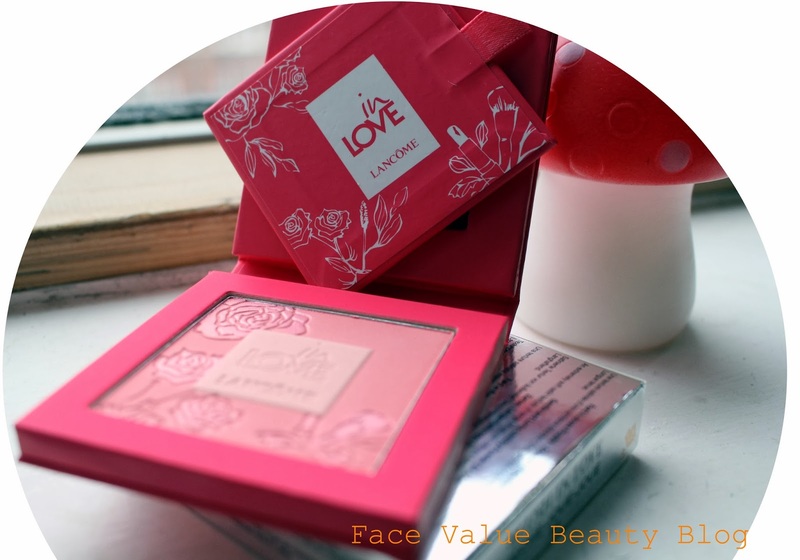 I’m talking about my new blusher by Lancome! What happened? Well I hit the New Year sales armed with a Boots giftcard (always dangerous) and boy-oh-boy did I luck out or what? 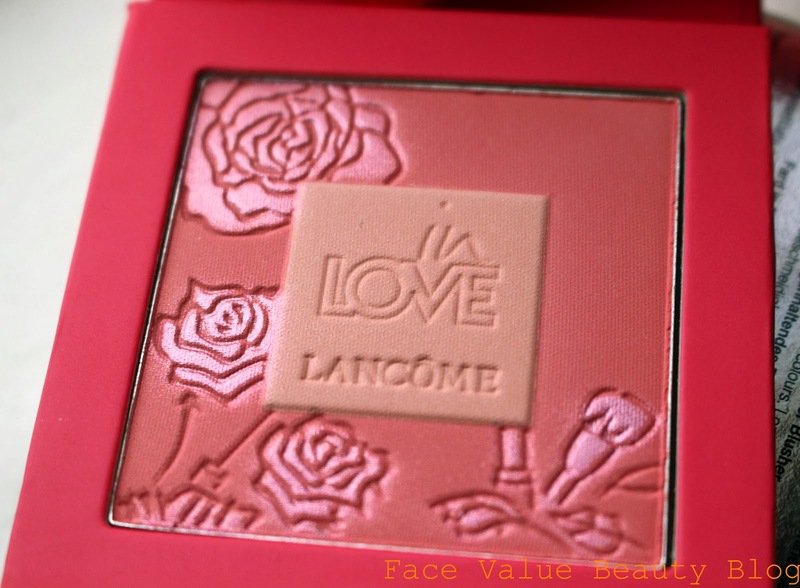 I stumbled across this beautiful Lancome Blush in Love blusher at the Lancome counter. Not only was it beautiful, it was Limited Edition AND half price AND I had a giftcard!! Is there any other better combination? You can apply them separately, but I swirl them together. You can apply on the apples of your cheeks for a girlie flush – but I also like sweeping it high across the cheeks towards the temples for a modern, high-fashion finish. Lets’s take a closer look at the colours. Here they are (left to right) mixed, center orange, outside pink. 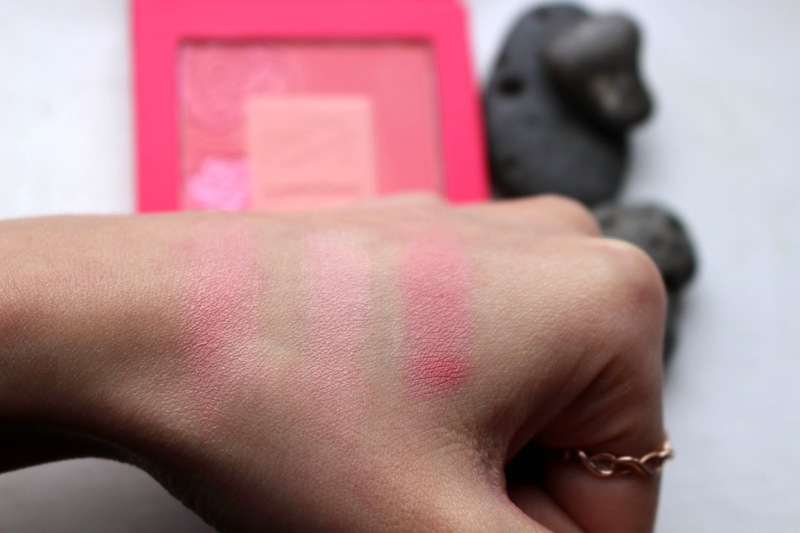 As you can see, the colours in this Lancome Blush in Love are very light and very natural. I had to layer these up – they’re actually more subtle than this upon first application. Everyone says they’re ideal for daytime wear but I think they’re also perfect for beauty addicts like me who like to wear it all! What do I mean wear it all? So you know when you wear a strong lipstick and you’re not ‘meant’ to wear blush with it. Well guess what – YOU CAN WEAR IT ALL! This is perfect for that hint of colour which won’t distract from your lip colour. The packaging is great too – it will fit in even the most teeny of clutches and it even comes with a pull-out mirror, perfection or what? Overall – I’m really pleased with this purchase – it normally sells for about £34 and I got it for £17. Definitely not your average blush though, it’s so pretty, I probably would spend the money to buy it as a treat. 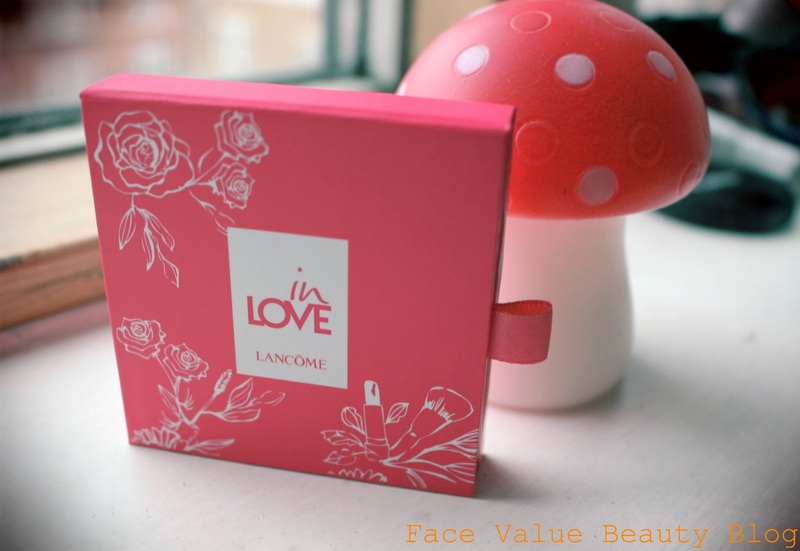 My favourite thing about the Lancome Blush in Love is that it’s made of really finely-milled pigments – this means it bonds to the skin for a long-lasting finish. It was still there when I got back from work! Definitely one for the collection to help me achieve the perfect natural “no makeup” look. I also love it for it’s ability to mask signs of the-night-before-the-morning-after. Four glasses of wine on a school night? Not me…. My only dilemma now is whether I can bring myself to start using it and ruin the pattern!?! Any ideas? Or should I just bite the bullet? !